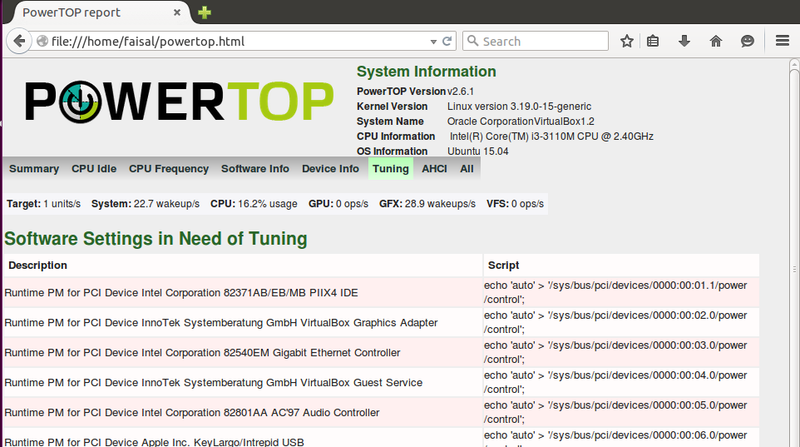 PowerTOP is a power management tool to diagnose the power related issues. It helps to reduce the power consumption and extends the battery life making it more healthy and robust. PowerTOP is built with amazing utilities like sensors, powersave and cpu governer, each one plays its own role and at the end we get a very low power consumption. PowerTOP also checks the currently running programs and looks over the kernel options and estimates the total power usage, hence it is very helpful for laptop users to get prolonged battery life and obviously for larger server companies to reduce the power costs. 1. PowerTOP was originally developed by Intel that is helpful to save power. 2. It is an awesome tool to enhance the battery life of your laptops, saves energy and also used for system diagnostics. 3. It is open source, freely available to download and easy to install. 4. 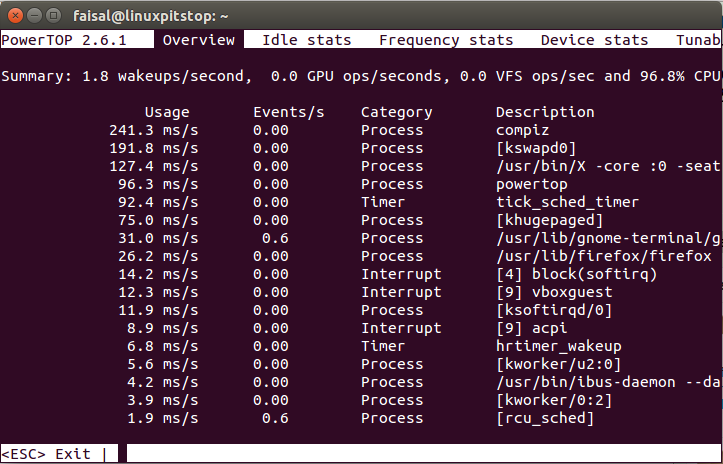 PowerTOP works perfectly with Linux kernels with the tickles idle feature enabled, this feature helps to find the idle processes that are consuming more power than needed. 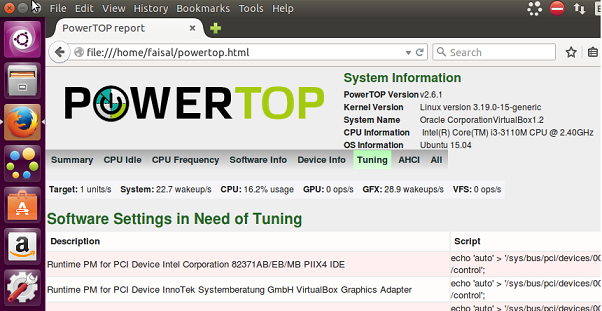 The latest version of PowerTOP 2.6.1-1 has been release for Vivid Ubuntu 15.04, since its PPA is not available at the moment, so we will manually download the .deb package and install it. Press the tab key now and go at the end and you will be able to see the Tunables option, this is where you need to look and fix the BAD ones to manage the power consumption. The Tuning tab is showing the settings that need to be tuned to manage the power efficiently and we just need to run those commands under the Script heading. Copy these commands, open /etc/rc.local and add in it, the changes will be permanent and will get no affect on reboot.